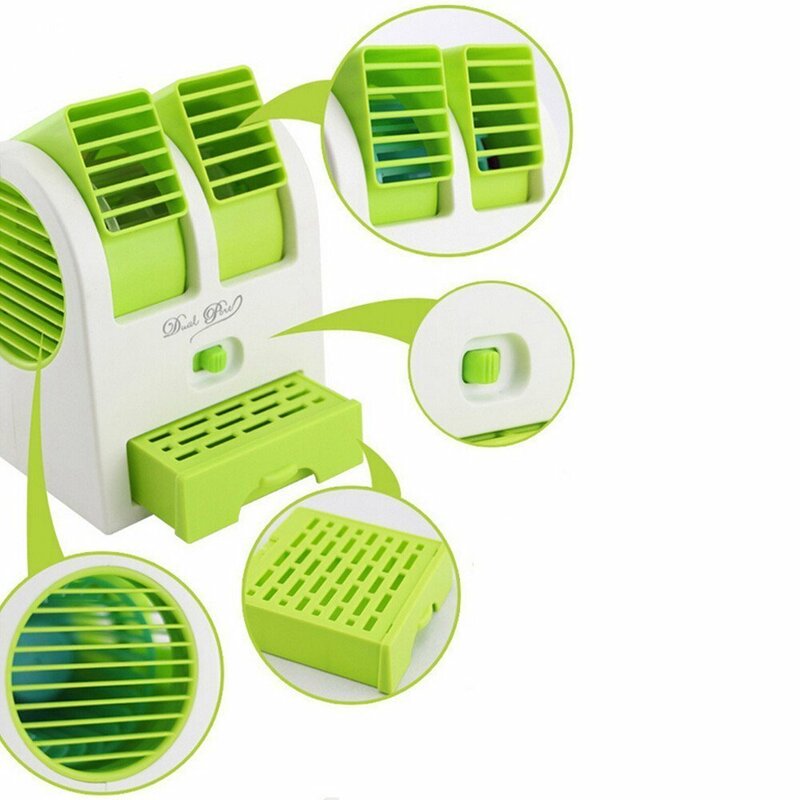 This Mini Air Conditioner Shaped Cooler Fan is very creative and high quality. You can place it next to your notebook /PC on the desk or take it outdoor with you. Low power consumption and ultra-quiet design. 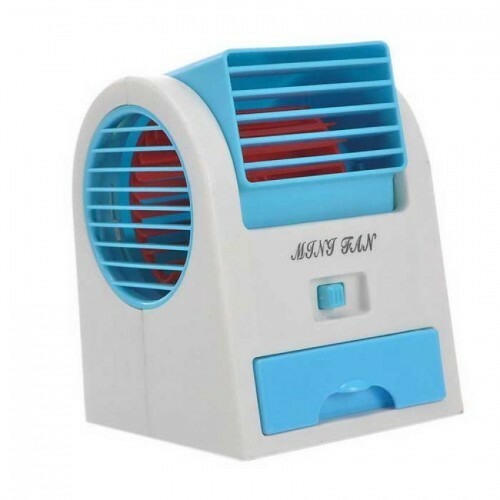 Breezy cool is just right for personal use at 2 to 4ft distance. Also can be connected to USB port of your PC/ USB charger adapter. You can use AA battery or power bank to power up on the go. 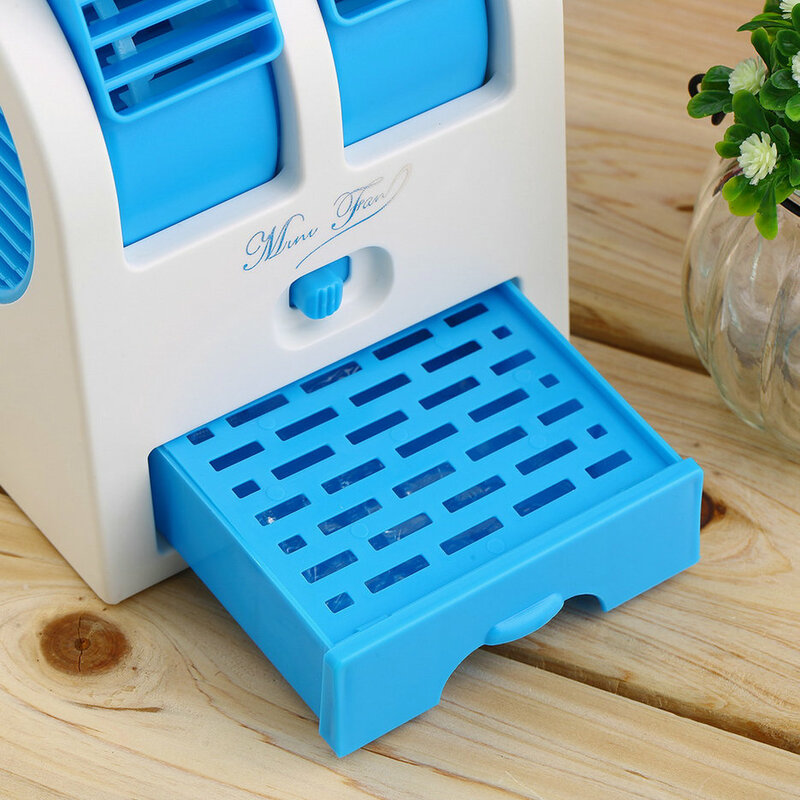 Comes with fragrant beads agent which will fresh your air with fragrance.